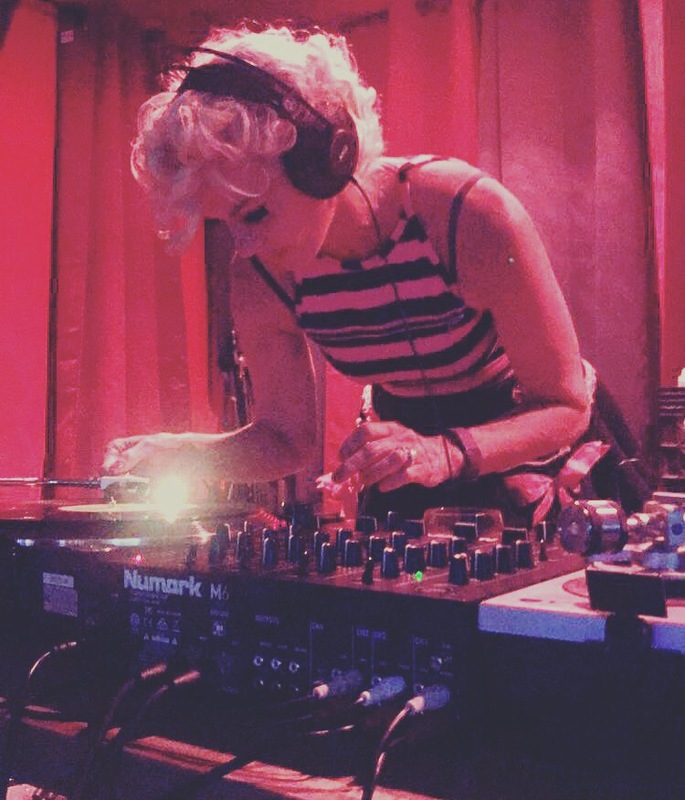 Spinning Vinyl every Monday from 10PM-2AM. It is Mustache Mondays ! 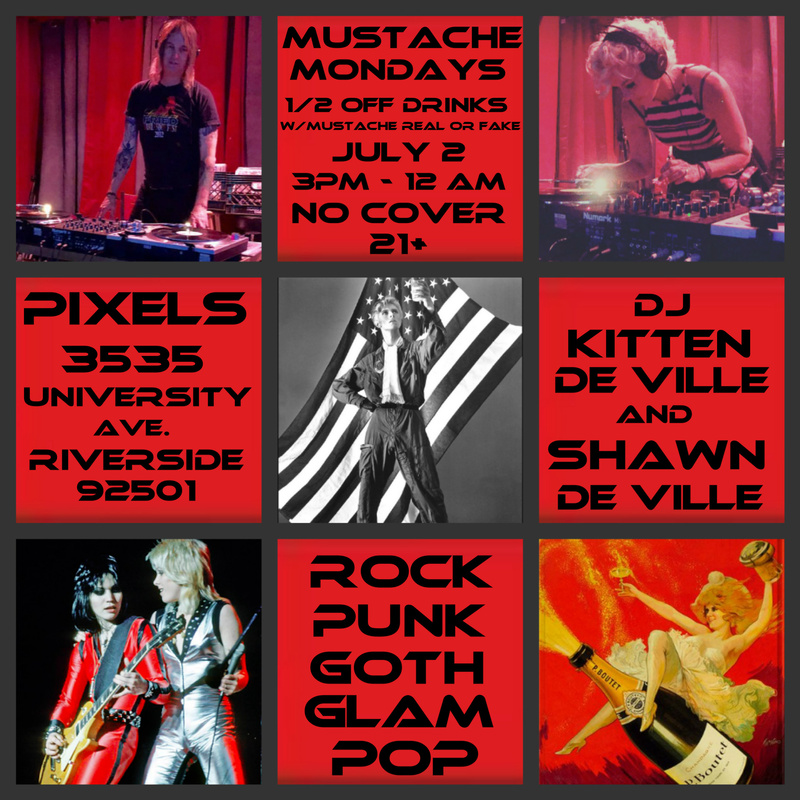 Mustache Mondays at Pixels, No Cover,21+ 1/2 off Drinks with a mustache real or fake. This is an invitation only event. Seating is limited and it is those who arrive first that will have the best view. To receive your invitation please go to my contact page and in the “more info” section please request your invitation. This event is for my graduating students. Please come help them celebrate this special evening. This is a 21+ event with ID and invite needed to get in. 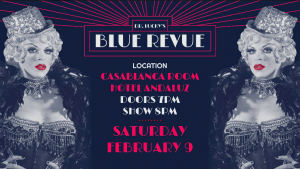 Get on the list for this exclusive Starlet Burlesque Event in Riverside CA. Saturday March 10th. 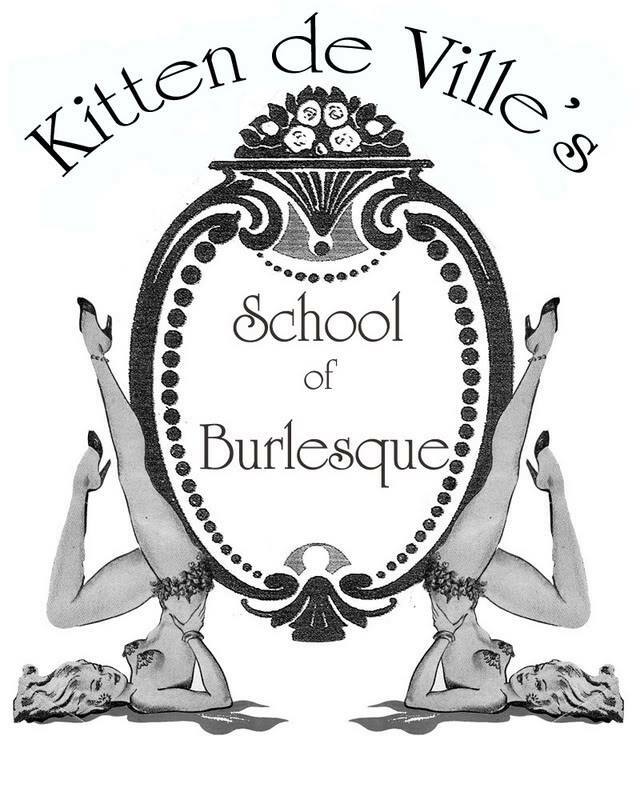 As we celebrate the debut performances of Kitten de Ville’s Burlesque graduates! 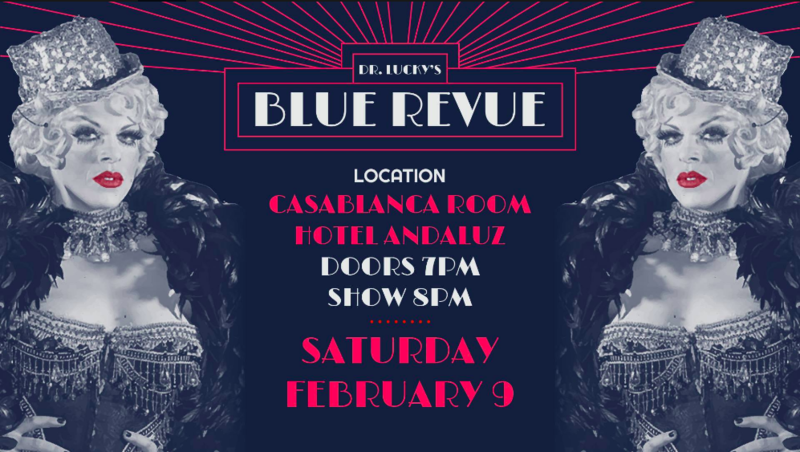 Also featuring performances by established performers and Kitten de Ville ! $10.00 21+ with ID. Beer & Champagne bar. 7PM doors open. Seating is limited, No assigned seats so please arrive early to assure the best view. 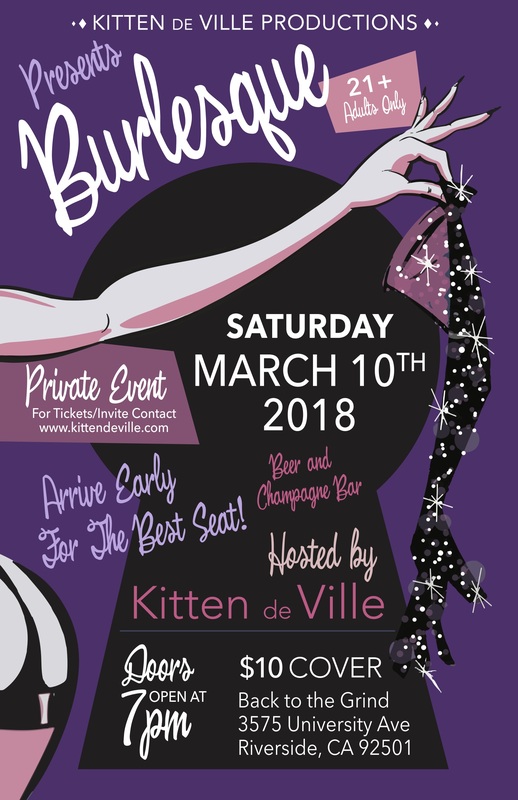 Contact me http://www.kittendeville.com/contact.html to get on the list! A $50 (non refundable) deposit is required at time of registration.This goes towards tuition fee. *Former students may take this class as a refresher course at the discounted price of $150. The cost of the workshop is $200.00. A $25.00 preregistration fee is required when you sign up, with the balance due on the first day of class. Preregistration fees and missed classes are non-refundable. Class size is limited to 10 students. 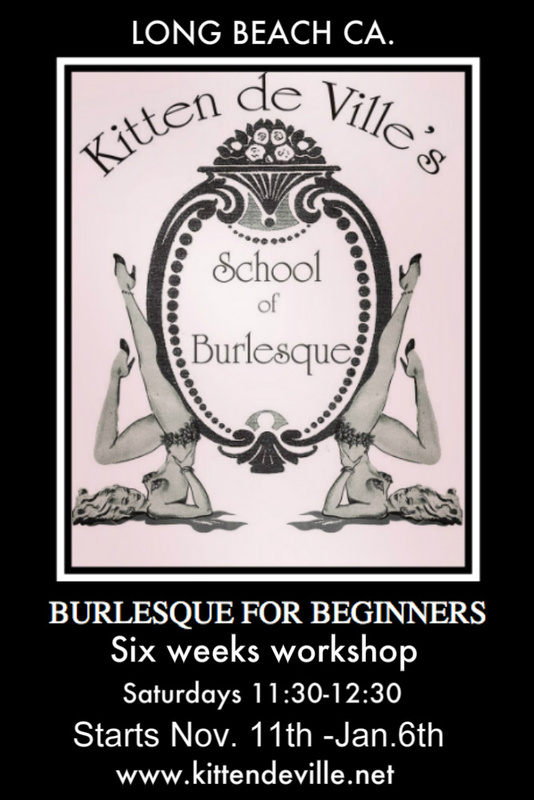 To register please contact Kitten.